Most brands re-launch their products with a new flavour, or a sales discount. 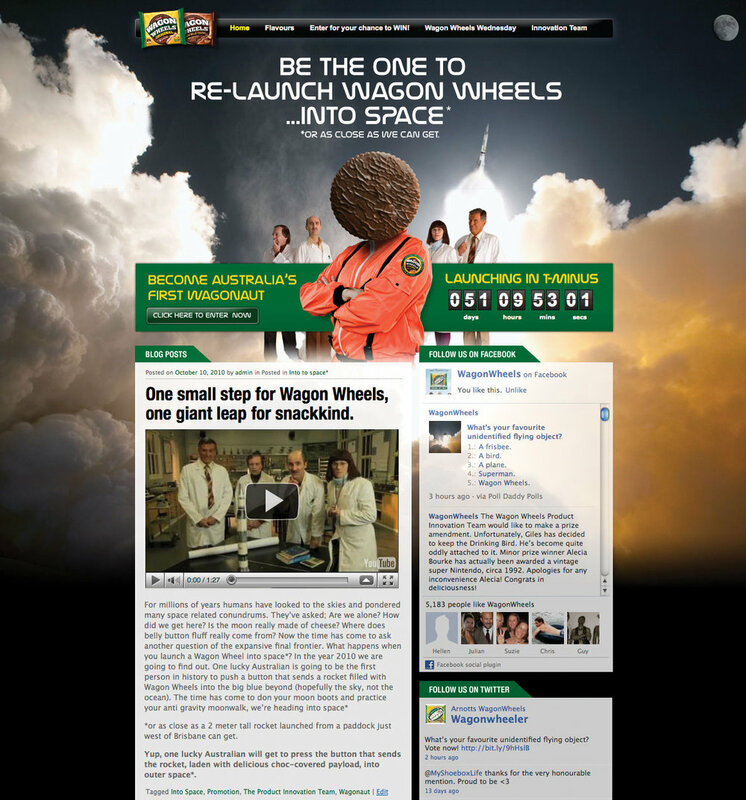 We decided to go nineteen steps further, and re-launch Wagon Wheels into space. A sales promo ran nationally, where one lucky person would get to be the person who pressed the button to re-launch the deliciousness up, up, up into the sky. 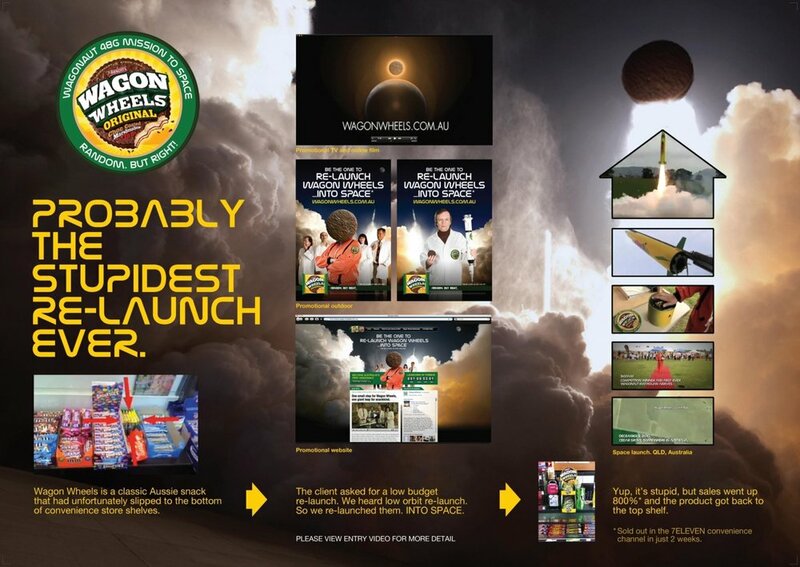 Then, it was just up to the boffins at Australian Rocketry to do the rest. Recognition: Sales up 800% (no kidding!) 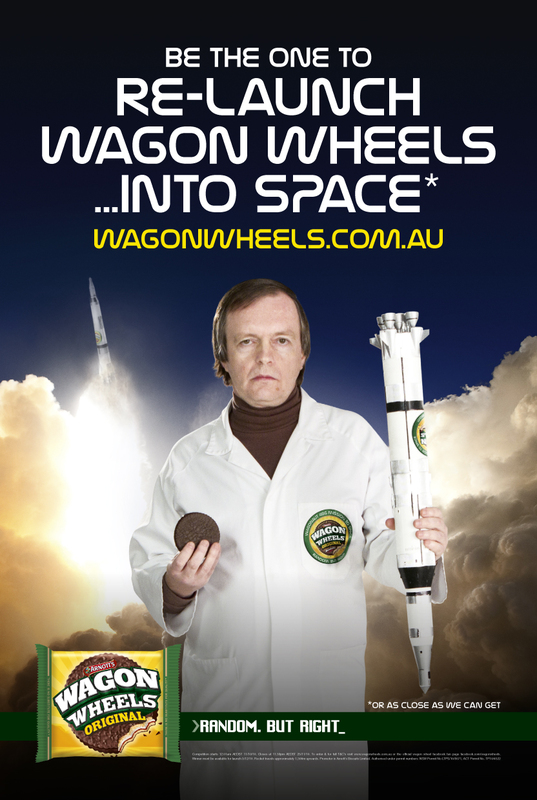 and Wagon Wheels sold out in 7-Elevens Australia-wide. Also was voted “stupidest ad stunt ever” by advertising website copyranter. High praise indeed!